Did the following ever happen to you? While your lax bros talk about this lacrosse legend and this awesome lacrosse event, you were just standing there not knowing what to say and wondering what the heck these guys are talking about. Well, then it’s about time you check out the Captain’s Blog Lacrosse NEWS section! Our Lacrosse NEWS section will provide you with a lot of exciting reports about legendary lacrosse players, the most influencing lacrosse coaches, the biggest lacrosse events, the most talent-loaded lacrosse leagues, and a lot more cool lacrosse stuff, that you always wanted to know more about. 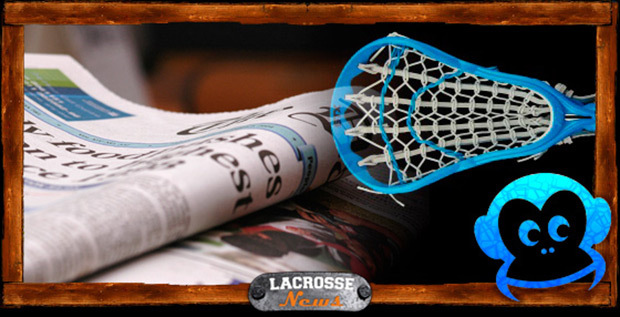 Get to know your lacrosse world and always be up-to-date concerning any lacrosse-related news. Captain’s Blog. Furthermore we have creates and extra Lacrosse Tipps and tricks section to improve you play very well. In order to stay up-to-date concerning all lacrosse news and what’s going on in the Lacrosse News section, visit the Captain’s Lacrosse Blog regularly or follow it over to CaptainLax Facebook, twitter or the RSS feed. This way you will never again be the dummy, who can’t participate in the conversation, while your lax bros are talking lacrosse. As a matter of fact, you will be the one, all lacrosse heads will be listening to!